It’s still rather hot here in New Jersey and I find the cooling effect of iced tea to be a beacon of respite on a humid, sunny day. Cold-brewed Smashed Raspberry Honey Iced Tea is light and refreshing – pair the smashed raspberries and honey with your favorite tea, or in this case, Traditional Medicinals Mother’s Milk Shatavari Cardamom. Disclosure: Traditional Medicinals provided the tea for this post. Some links in this post are affiliate links which means I earn a commission if you purchase through them at no extra cost to you. I only recommend brands and products that I 100% like and enjoy using. Thank you in advance for your support! My daughter M was playing while I was setting up for this shoot and she became interested in what I was doing, then intensely focused, so I just went with her enthusiasm. I think I have a budding food stylist here! She was really intent on placing the silverware, cookery and stirring, all the while being careful and specific – it was amusing and touching for me to watch her. I was so happy to have her be genuinely involved and interested – as much as a toddler can be! Why Cold-Brewed Tea? The flavor of the tea is more subtle and delicate than hot brewed tea in my experience. I try to avoid turning on the oven when it’s hot out and this is something that I can prepare the night before and it is so easy to do! Cold-brewed Smashed Raspberry Honey Iced Tea is light and refreshing – pair the smashed raspberries and honey with your favorite tea, or in this case, Traditional Medicinals Mother’s Milk Shatavari Cardamom. 1 teaspoon honey, , plus more as desired for sweetness, I use local raw wildflower honey. Allow the teabags to soak overnight in the refrigerator, (overnight, I recommend at least 12+ hours). Put the most raspberries in a bowl (save some to garnish!) and smash with a fork. Stir in honey. Spoon in desired amount to the bottom of the glasses. Add ice cubes to the glasses. 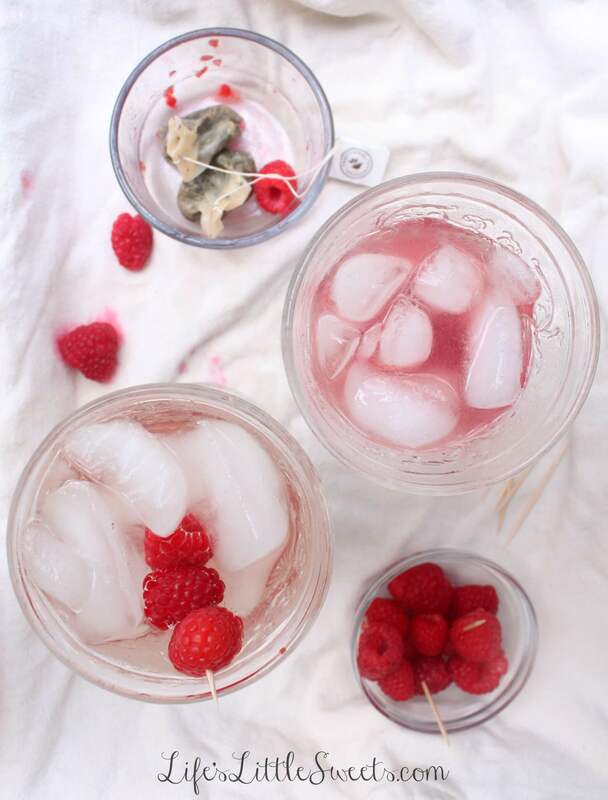 Pour iced tea over ice, stir with a spoon if desired or leave the fruit mixture on the bottom, garnish with raspberries on top, serve and enjoy! Special Thanks to Traditional Medicinals for providing the tea for this post! They recently sent me a box of a variety of teas and it was fun trying new flavors. They are one of my favorite teas brands. I love that they are Non-GMO and organic. I have Mother’s Milk tea every night after I put M. to sleep. It’s my ritual ever since I came home from the hospital with her. Below are some photos of cardamom pods that I got when I made rum babas. They have an almost floral, subtle and warm nuanced scent. Also, Traditional Medicinals Pregnancy Tea was my special beverage of choice while I was pregnant since I couldn’t have coffee during the pregnancy. I highly recommend their Pregnancy Tea to expectant mothers. 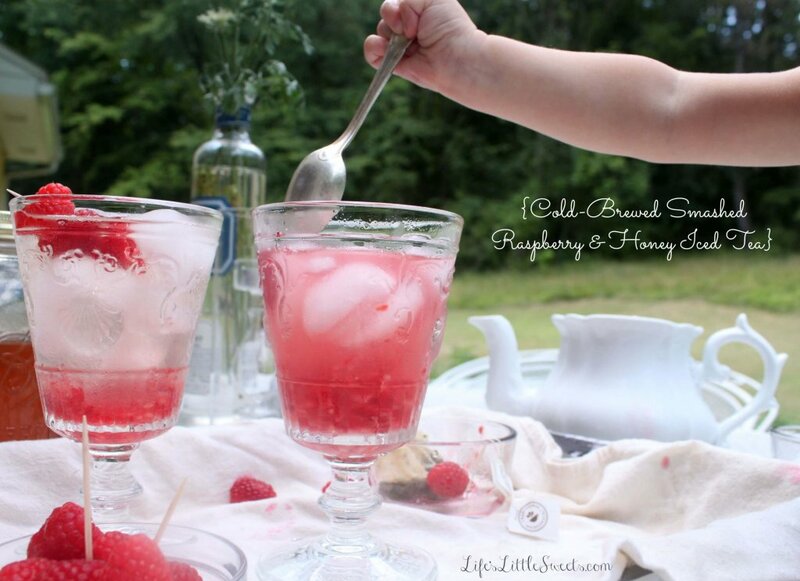 If you make “Cold-Brewed Smashed Raspberry Honey Iced Tea” and post a picture on social media, be sure to #lifeslittlesweets and link back to the post, thank you in advance! What is your favorite iced tea flavor? Let me know in the comments below! Hi Lucy! I am so glad you like them, it was such a “pretty” day out that day, and I think the pictures captured the moment and fun I had with my daughter. Thank you so much for stopping by Life’s Little Sweets! Oh my goodness, I love LA! Sending a virtual glass your way – with raspberry on top! such a pretty , summery drink -looks lovely. Thank you! I just checked out your blog, you have some amazing recipes on there! Oooo.. Looks like your cute baby is all set to become a blogger soon.. she is so lovely..
this is perfect for summer days. too bad we have autumn now but will for surely bookmark this recipe for next summer! This looks so delicious – I love this recipe! I need to whip up a batch soon! Oh this looks so good and your little one is just too cute! 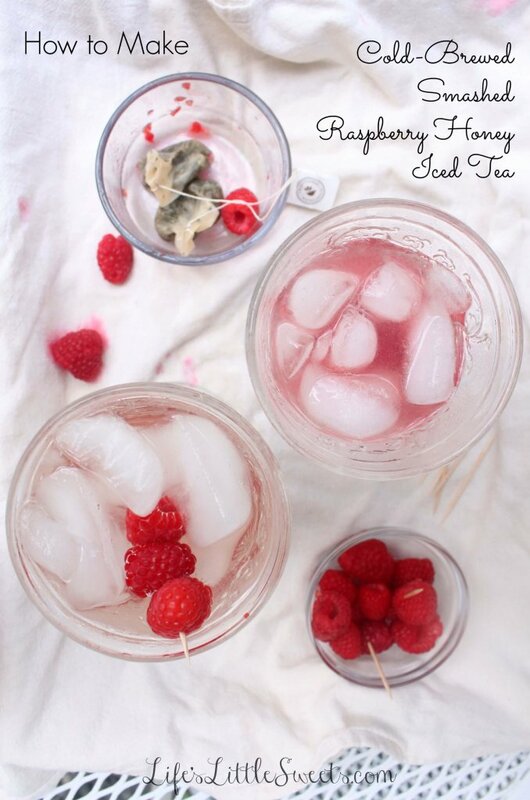 I love the idea of smashing raspberries in tea. This would make a great cocktail too. Hi Levan, thank you so much and for stopping by! 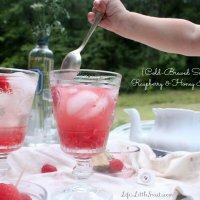 This is great idea to create cocktail by using smashed raspberries. I love all your shared recipe pictures. Thanks for sharing! !